The country of Israel, a country in southwestern Asia, was reestablished as a nation in 1948 as a Jewish state in the historic region of Palestine, as was prophesied in the Bible many years ago. 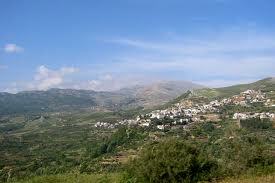 It is located on the eastern shore of the Mediterranean Sea. Israel is bordered on the north by Lebanon, on the northeast by Syria, on the east by Jordan, and on the southwest by Egypt. Its southernmost tip reaches to the Gulf of Aqaba, an arm of the Red Sea. Israel’s isolated position as a Jewish state surrounded by Islamic Arab countries has influenced almost every aspect of its everyday life throughout its recent history. The origins of the present-day struggle between Israel and Arab nations came long before the establishment of the new state of Israel. In the early 20th century, as the birthplace of Judaism and site of the ancient Hebrew Kingdom of Israel, the Jewish peoples of the world began to immigrate in mass to Palestine, promoted by a movement known as Zionism. The Palestinian Arab inhabitants of the region had many conflicts with the Jews throughout the British administration of Palestine from 1918 to 1948. After World War II (1939-1945) the United Nations (UN) developed a plan to divide Palestine into separate Jewish and Arab states. 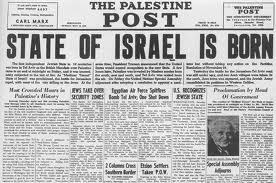 The Arabs rejected the plan, but the Jews accepted it, and the independent nation of Israel was established in 1948. Five surrounding Arab nations immediately attacked Israel. In the Arab-Israeli War of 1948-1949 and later wars with its Arab neighbors Israel obtained territory that was not included in its 1948 boundaries. As a result of the Six-Day War of 1967 Israel took and later annexed the Syrian territory of the Golan Heights. Israel also occupied the West Bank (formerly of Jordan) and the Gaza Strip (formerly of Egypt). Even Jerusalem, the city Israel claims as its capital, remains an area of disagreement. Jewish West Jerusalem has been part of Israel since its independence in 1948, but Israel captured East Jerusalem in 1967. Israel has since claimed the entire city as its capital, but the United Nations does not recognize it as such. These territorial conflicts, combined with continued Jewish immigration, have caused major changes in the makeup of the population since Israel’s independence. Much of the Palestinian Arab population in the territory that became Israel left during the 1948-1949 war, becoming refugees in surrounding Arab countries. Still more Palestinians left the area captured by Israel in 1967 (known as the Occupied Territories; often referred to in Israel as “administered territories”), and thousands of Jews have settled in these areas in their stead, as Jewish immigration continued. By the late 1990s Israel had taken in 2.1 million immigrants since 1948, four times more than the Jewish population before independence. Economically, the challenges of national security and immigration have been very costly. The economic cost of the military necessitates dependence on foreign economic aid, mostly from the United States. In addition, political conflict has severely isolated Israel economically from most of the surrounding countries. Yet, although the integration of so many immigrants from all over the world is a great financial undertaking, the constant influx of new people with many different skills and backgrounds also contributes to Israel’s economic well-being. Both factors have created a successful industrial economy, which helps to pay for necessary infrastructure and services. In 1947 the United Nations proposed dividing the British mandate of Palestine into two states: a Jewish one and an Arab one. The Jews accepted the plan and in 1948 proclaimed the state of Israel, which was soon attacked by a coalition of Arabs. By the end of the war, Israel had taken much of the Arab land. © Microsoft Corporation. All Rights Reserved. 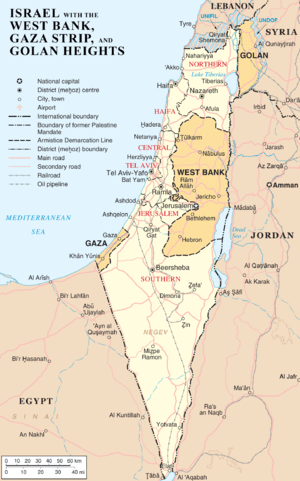 The total area of Israel, based on the borders established at the end of the War of 1948-1949, is about 8,000 sq miles. Areas occupied by Israel as a result of the Six-Day War include the West Bank, which adds 2,263 sq mi, the Gaza Strip, which adds 146 sq mi, the Golan Heights, which adds 483 sq mi, and East Jerusalem, which adds another 27 sq miles. Because Israel annexed the Golan Heights and East Jerusalem in 1981, the country officially includes them in total area and population figures. Israel stretches north to south a length of about 260 miles, and east to west from about 10 to 70 miles. There are five major geographical regions of Israel. The mountainous Galilee region takes up most of the northern section of Israel, stretching 25 miles east from a narrow coastal plain across to the Sea of Galilee (also called Lake Tiberias). Mount Meron (3,963 ft) in central Galilee is the highest point in Israel. South of Galilee is the Plain of Esdraelon, a densely populated and productive agricultural region, which is about 35 miles long and 15 miles wide. The plain runs across Israel from Haifa on the Mediterranean coast to the Jordan River, which forms Israel’s eastern border. The coastal plains, which have most of Israel’s large industrial cities, stretch for 120 miles along the Mediterranean from just north of Haifa to Gaza. This region ranges from less than one mile to 20 miles in width. The Judean and Samarian hills stretch north and south throughout most of Israel. The Negev is a triangular desert region in southern Israel, which stretches north from the Gulf of Aqaba to a line connecting the southern end of the Dead Sea and the Mediterranean, passing to the north of the city of Beersheba. Galilee has been part of the Jewish state since the United Nations partitioned Palestine in 1947. The area was populated by Romans, Greeks, Phoenicians, Syrians, and Jews and was the center of Jesus Christ’s ministry. Israel’s variety of natural environments, which are distinguished by regional differences in elevation, rainfall, topography and soils, and latitude, produce many different kinds of plant life. Of about 2,500 species of plants, most are capable of enduring prolonged dry spells. Three vegetative regions cover Israel: Mediterranean in most of the northern reaches, grassland in the northern Negev, and desert in the rest of the Negev. This variety of geographical regions produces a wide range of agricultural products, including citrus fruits, bananas, cotton, tobacco, grapes, dates, figs, olives, almonds, and avocados. Though original evergreen forests have largely disappeared because of cultivation and herding, a reforestation program has planted millions of trees, mostly in the hilly regions. Today natural woodlands and reforested areas cover only about 6 percent of the land. Animal life consists of about 100 species of mammals, including wild boars, gazelles, ibexes, jackals, hyenas, wildcats, and badgers. There are about 380 species of birds, many of which migrate seasonally to other areas. Partridges, cuckoos, bustards, sand grouses, and desert larks inhabit the area. Israel also has a variety of reptiles, fishes, and insects (including the locusts of the Bible). 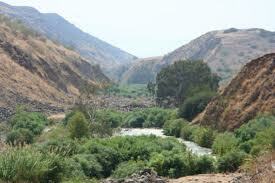 The Jordan River forms the northern borders between Israel and Jordan and between the West Bank and Jordan. It flows through the Sea of Galilee (64 sq miles), which has many species of fish and supplies more than half of Israel’s fresh water. 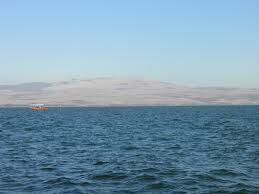 The Jordan empties into the Dead Sea (394 sq miles), a highly saline lake supplying many important minerals. Parts of the Dead Sea are in Israel, Jordan, and the West Bank. The Sea of Galilee and the Dead Sea are below sea level, with the shore of the Dead Sea being the lowest point on the Earth’s surface. Projects by Israel and Jordan to use water from the Jordan River for irrigation and other projects have caused the level of the Dead Sea to drop. Other important rivers are the Yarqon, which flows through Tel Aviv-Yafo, and the Qishon River, which flows to the Mediterranean Sea near Haifa. The Sea of Galilee is a freshwater lake. Its eastern shore adjoins the Golan Heights, a disputed region occupied by Israel since 1967. The Jordan River flows through the Sea of Galilee on its southward course to the Dead Sea. 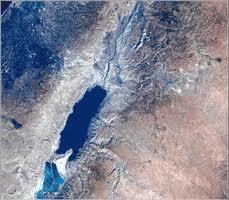 Israel and Jordan share the shoreline of the Dead Sea, the lowest elevation on the surface of the earth. Seven times saltier than the ocean, this aptly named body of water supports few plants and no marine life except brine shrimp. The sea yields rich minerals, which Israeli companies extract to make table salt, fertilizers, and drugs. The coastline of Israel, including the country’s western edge on the Mediterranean Sea and its southern tip on the Red Sea, stretches for about 170 miles. Apart from limited sections of cliffs rising 30 to 120 ft, the coast is mostly low-lying and backed by sand dunes. Haifa, a natural harbor in the north, and Ashdod, an artificial port to the south, serve as the main seaports on the Mediterranean. The port of Elat on the Gulf of Aqaba is Israel’s only access to the Red Sea, making it very important to shipping. The Red Sea divides the Arabian Peninsula from the continent of Africa, forming the Gulf of Aqaba just below the Israeli port of Elat. The Red Sea’s high salt content is a result of the region’s extreme heat, which makes its waters evaporate quickly. Although much of Israel’s desert regions contain poor soils, the northern Negev, the coastal plains, and the interior valleys provide some productive soils. An estimated 21 percent of Israel’s land is used for crops or orchards. Most cultivable soils in Israel require irrigation; of the 1,637 sq miles of cultivation, 44 percent is irrigated. The Dead Sea contains valuable minerals such as potash, bromine, and magnesium, which are all exported. The Negev also has many minerals, including copper, phosphate, bromine, and clay. Small amounts of oil and natural gas are mined near the Dead Sea and south of Tel Aviv-Yafo. Israel has a typical Mediterranean climate with cool, rainy winters and warm, dry summers. Temperatures vary with elevation, exposure to the sea, and winds. January is normally the coldest month and August the warmest. In upland regions such as Jerusalem, January temperatures average 48°F while August temperatures average 75°F. In the coastal plains, including Haifa and Tel Aviv-Yafo, January averages 54°F and August averages 77°F. Frost occurs a few days a year in mountainous inland regions, while summer temperatures can reach the 100°s F in the Jordan Valley and in southern desert regions. About 70 percent of rainfall occurs between November and February. The upper Galilee receives about 40 in of rain annually; the Judean Hills, about 30 in; and most of the Negev, about 4 in. Elat, the driest spot in Israel, receives only 1 in annually. Snow falls occasionally in higher parts of the hills during the coldest months. Frequent summer droughts, especially in the southern desert regions, make extensive irrigation a necessity. The estimated population of Israel in 2004, including residents of the Golan Heights and East Jerusalem, was 6,199,008. Israel is one of the most urbanized countries in the world, with 92 percent living in communities of more than 2,000 people, and over half living in the metropolitan areas of its three largest cities, Jerusalem, Tel-Aviv-Yafo, and Haifa. More than one-third of the world’s Jewish population lives in Israel, where they make up 82 percent of the people. Arabs, most of whom are Muslims, make up most of the rest of the population. Because the birth rate is much greater for Arabs than for Jews, the Arab proportion of the population has more than doubled in recent years. 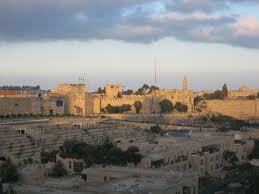 With a population of 692,300 in 2003, Jerusalem is Israel’s largest city. Israel claims all of Jerusalem as its capital, but Palestinians dispute that claim. Arabs make up about 30 percent of the population. Jerusalem’s economy depends on governmental administration, light industry, tourism, and higher education. Tel Aviv-Yafo, with 364,300 residents in 2003, is the center of an urban region stretching along 9 miles of the Mediterranean coast and 6 miles inland, with a total population of about 2 million. It serves as a commercial and industrial capital and also plays an important role in the cultural and recreational life of Israel. Haifa is farther north, and has the country’s busiest port and main naval base. With a population of 270,500, the city serves as a center of heavy industry as well as religious and educational activities. Beersheba, with about 183,200 people in 2003, serves as the administrative, industrial, and cultural center of the northern Negev. Although Israel’s Jewish population shares a common ethnic heritage based on Judaism, it is made up almost entirely of immigrants and descendants of immigrants from all over the world. In 1997 some 38 percent of Israel’s Jewish population was born outside of Israel. Foreign-born and native-born Israeli Jews trace their recent roots to more than 100 different countries, providing Israel with many different cultural influences. The two main groupings of Jews are Ashkenazim and Sephardim. The Ashkenazim, whose tradition was centered in Germany in the Middle Ages, now include Jews of Central and Eastern European origin. The Sephardim, whose tradition grew in Spain in the Middle Ages, now include Jews with ancestry from the Middle East, North Africa, and the Mediterranean region. Historically the groups differ in religious rite, pronunciation of Hebrew, and social customs. Sephardic Jews immigrated rapidly to Israel in the years after independence. Beginning in the last years of the Union of Soviet Socialist Republics (USSR) in the late 1980s and continuing long after its breakup, hundreds of thousands of Ashkenazic Jews immigrated to Israel from the former Soviet Union. Arabs, those Palestinians who remained in the region after Israel’s independence and their descendants, constitute almost all of Israel’s non-Jewish population. Since Israel’s occupation of the West Bank, Gaza Strip, East Jerusalem, and Golan Heights in 1967, Arabs in Israel have had increased contact, and an increased sense of identity, with fellow Palestinians in those occupied areas. In spite of legal equality and increased integration into Israel’s economy, for the most part Arabs and Jews live in separate areas, have separate schools, speak different languages, and follow different cultural traditions. Hebrew and Arabic are the official languages. The Jewish majority speaks a modernized derivative of the Hebrew language, a biblical Semitic language. Immigrants are given intensive instruction in Hebrew, but many continue to speak their native language at home. Israeli Arabs speak the Arabic language. Both Hebrew and Arabic are taught in schools and used in legal affairs and in the legislature. Many Israelis speak English, Russian, or any of a number of other European languages. Some older Ashkenazic immigrants speak Yiddish, a Germanic language. Radio broadcasts, newspapers, and periodicals use several languages in addition to Hebrew and Arabic. For centuries the region of Palestine has been a focus for three world religions: Judaism, Christianity, and Islam. 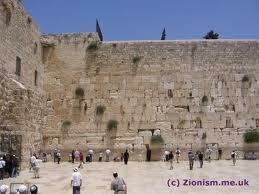 Jerusalem, Hebron, Ẕefat, and Tiberias are the four holy cities of Judaism. Jerusalem, Bethlehem, and Nazareth are sacred to Christians, and Jerusalem, as the location of the believed ascent of the prophet Muhammad to heaven, is also sacred to Islam. About three-quarters of Israel’s non-Jewish population follow Sunni Islam. Most of the remainder are Christians. The largest Christian denominations are Greek Catholic and Greek Orthodox, though many other Christian denominations are also represented in Israel. The level of religious observance among all of these religions has decreased in recent years, but religious affiliation remains very important socially and politically. Israeli law guarantees religious freedom. Israeli Jews have differing degrees of religious faith and practice. Ultra-Orthodox Jews (haredim) who wish to impose strict religious law on all aspects of life are at one end of the spectrum, with those who observe no religious practices at all at the other end. Most are somewhere in between, observing some religious principles according to their personal preferences and ethnic traditions. Orthodox and non-Orthodox groups remain at odds, resulting in occasional disruptive incidents over observance of the Sabbath, a holy day of rest, and the right of women to pray at Jerusalem’s Western Wall, the holiest site of Judaism. In recent years non-Orthodox Jewish groups have struggled against the exclusive rights of the Orthodoxy to perform conversions and other religious rites. Religion plays a significant role in politics, and religious parties hold many seats in the legislature. The quality of Israel’s education system and the high literacy rate of its people reflect the importance of education in the Jewish tradition. The Compulsory Education Law of 1949 and subsequent amendments provide for free and compulsory schooling for children aged 5 to 16 and additional free but not compulsory education to age 18, with about 90 percent of children completing their education. Jewish children attend either state secular or religious schools, both with instruction in Hebrew. Arab children attend separate schools emphasizing their history, religion, and culture, with instruction in Arabic. Some secondary schools specialize in technological, agricultural, military, or religious studies. There are also private religious schools affiliated with ultra-Orthodox groups and Christian denominations. Literacy rates are very high among youth in both communities and for both sexes. Postsecondary educational opportunities include universities as well as vocational and other adult education. Most students complete compulsory military service, three years for men and almost two years for women, before pursuing higher education. Universities, which operate under the authority of the Council for Higher Education, include the Technion-Israel Institute of Technology in Haifa, the Hebrew University of Jerusalem, Bar-Ilan University in Ramat Gan, Tel Aviv University, Haifa University, and Ben Gurion University of the Negev in Beersheba. Other forms of adult education are especially important in Israel due to the high number of adult immigrants with varying levels of education in their home countries. Vocational and adult education subjects include nursing, teacher training, architecture, Hebrew language, art, music, and architecture. Although of varying backgrounds, Israeli Jews share many unifying influences such as Judaic tradition, the Hebrew language, the Holocaust (the murder of millions of Jews in Europe by Nazi Germany), and the socialist ideals of the early Zionist pioneers in Palestine. In addition, most Israeli Jews share the formative experience of compulsory military service and subsequent years of reserve service for one or two months per year. Nevertheless, lifestyles vary markedly based on such factors as country of origin, length of residence in Israel, level of religious observance, and urban or rural location. In general, family life and religious celebrations play an important role in society. Popular recreational activities include camping, hiking, and going to the beach, as well as use of the country’s many sports facilities, libraries, and theaters. Many of Israel’s rural Jews live in two types of cooperative communities, the kibbutz and the moshav. In a kibbutz, residents own all property together and contribute work in exchange for basic necessities. In a moshav, families own separate farms but cooperate in agricultural marketing. Jews and Arabs of Israel lead separate lives, with little social and cultural exchange. Israel’s Arab population, although sharing a common language and many other cultural affinities, is divided along religious lines. Muslim Arabs, most of whom are Sunnis, live mainly in small towns and villages and follow many of the traditions of the Islamic world. Within this group, the Bedouins remain culturally distinct, being traditionally nomads with a tribal social framework, though many now live in permanent settlements in southern Israel. Christians reside mostly in the cities and follow the traditions of Eastern or Western Christianity. The Ministry of Labor and Social Affairs supervises a full welfare system and provides 75 percent of its funding. All workers must contribute to social insurance that provides for child allowances, workers’ compensation, and care for the elderly. Local authorities are responsible for delivering these social services. Workers also pay a health insurance tax, which provides basic medical services to all residents of Israel. The artistic and cultural life of Israel draws inspiration from Jewish tradition, with the cultural activity of the Jewish population being greatly influenced by Israel’s struggle for independence and survival. This foundation was also improved by waves of immigration from more than 100 countries, each of which brought an element of cultural diversity and a wealth of artistic skills and traditions. Jews have always been prominent in literature, art, and music, but Israeli Jews have made a conscious effort to create their own artistic tradition. Israeli Arabs also have a rich heritage of music, theater, dance, and art that draws on traditions of the wider Arab world. Israel is one of the world’s most active and progressive centers for music. The Israel Philharmonic Orchestra is world-renowned. Musicians compose and perform music of every kind for audiences all over Israel, and musical education is taken very seriously. The arrival of more than 600,000 Jews from the former USSR in the 1990s brought a wave of fresh talent and vitality to the musical scene. Opera and dance are also extremely active in Israel. Dance includes distinctive Israeli forms derived from Eastern Europe and elsewhere. Theater also flourishes in Israel. In 1906 the Bezalel School of Arts and Crafts was founded in Jerusalem to encourage talented Jews to study art in Palestine. Like the country’s writers and performers, Israeli painters, sculptors, and photographers have examined personal and social issues relating to Jewish identity. Artist studios, galleries, and shops abound in Ẕefat and Yafo. Many Israeli artists and sculptors have gained international recognition for their work. Filmmaking began in Israel in the 1950s and has developed strongly under the Israel Film Center. Cinema exports are growing, and foreign productions are sometimes filmed in Israel. The most remarkable achievement of Israel’s artistic tradition has been the revival and modernization of the Hebrew language after centuries of disuse. Although biblical Hebrew had only about 8,000 words, modern Hebrew uses about 120,000 words. The Academy of the Hebrew Language, founded by the Israeli parliament in 1953, guides the continuing development of the Hebrew language. Hebrew authors have published numerous books of poetry and prose since Israeli independence, with several Israeli writers winning international recognition. Founded in 1962, the Institute for the Translation of Hebrew Literature has rendered hundreds of Hebrew works of fiction, drama, poetry, and books for children into 40 different languages. The Israel Museum in Jerusalem, founded in 1965 as the national museum, houses collections of Jewish art, modern sculpture, and archaeological artifacts. It also houses the Dead Sea Scrolls, a collection of ancient Hebrew and Aramaic manuscripts. The Yad Vashem Holocaust Museum in Jerusalem is dedicated to Jews who died in the Holocaust. Other important museums include the Tel Aviv Museum of Art and the Haifa Museum. Several museums, including the L. A. Mayer Institute for Islamic Art in Jerusalem, display exhibits about the Arab and Islamic traditions of Palestine and Israel. Altogether there are more than 120 museums in Israel, which receive about ten million visitors each year. There are more than 400 libraries in Israel, as well. The challenges of preserving national security while taking in massive waves of immigrants have characterized the economy of Israel throughout its statehood. Defense spending remains one of the worlds highest, and immigration strains the availability of jobs and housing. Lack of natural resources and economic isolation from surrounding Arab states add to the challenges. In spite of these factors, Israel’s economy has grown rapidly, and Israelis enjoy a high standard of living. Economic diversification, high investment, a skilled and educated workforce, and a commitment to research and development have contributed to Israel’s economic success. To offset its trade deficit, Israel exports many high-technology products. In 1998 Israel proposed a plan to phase out economic aid from the United States over a period of 10 to 12 years beginning in the year 2000. Because of the pressing nature of Israel’s economic problems, national security, and immigrants, the government has played a central role in economic policymaking and intervention throughout Israel’s history. For example, the government has been heavily involved in planning, subsidizing, and controlling agriculture since independence. The government has also taken decisive action to avert economic crises. The government, including government-owned businesses, remains the largest employer, particularly in the public services sector, but to reduce spending and stimulate economic growth, the government began privatizing many of its enterprises in the 1990s. In 2002 Israel’s active civilian labor force was 2.9 million, including about 250,000 Israeli Arabs. Women account for 41.7 percent of the workforce. In descending order, public services, manufacturing, retail and wholesale trade, and financial and business services employed the largest number of workers. Unemployment was about 10 percent. About 100,000 foreign workers from Romania, Thailand, and the Philippines worked in such fields as agriculture and construction, largely replacing the Palestinian workers, who were prevented from going to their jobs in Israel after a significant uprising. In addition to the civilian labor force, about 180,000 Israelis served in the military. The service sector remains the largest percentage of the labor force. In the late 1990s it employed 69 percent of Israel’s workforce. Mainly because of the continuing task of absorbing immigration, public services such as education, health, and welfare remain the primary service industries. Business and financial services, wholesale and retail trade, transportation, storage, and communication services are also important. Founded in 1920, the Histadrut (General Federation of Labor) represents most of Israel’s labor force. Serving as an umbrella group for separate trade unions, the Histadrut offers health insurance as well as recreational, educational, and other services to its members. The earliest Zionist settlers in Palestine viewed agriculture as a key ingredient of successful colonization, for meeting food needs and for fostering an ideological bond between Jews and the land. Since independence the Israeli government has promoted agriculture to attain self-sufficiency and to provide new immigrants with food and employment. Between 1948 and the late 1990s the land area under cultivation has almost tripled, in large part because of modern irrigation, mechanization, and other technologies. About 750 kibbutzim and moshavim, although occupied by only 6 percent of the total population, produce a large portion of Israel’s crops. Because of extensive investment in new methods and technologies, Israel meets most of its food needs through domestic production and grows several crops for export. Industrial crops (groundnuts, sugar beets, cotton), cereals, tomatoes, a wide variety of fruit, dairy products, poultry, and eggs are the main food crops. Primary exports include citrus and other fruit, cotton, avocados, and potatoes. Flowers account for almost a quarter of agricultural exports by value. The majority of Israel’s annual fish catch consists of freshwater fish raised in artificial ponds. Agriculture and Fishing are essential to Israel’s economy. The chief assets of the Israeli mining industry are the huge quantities of bromine, potash, magnesium, and other minerals extracted from the salt deposits of the Dead Sea. Israel is the world’s largest exporter of bromine. Extensive quarrying of marble and granite fulfills domestic construction needs. Copper, phosphates, bromine, and clay are mined in the Negev. In spite of limited natural resources, Israel’s manufacturing sector is the most diversified and most technologically advanced of any country in the Middle East. The needs of the defense industry, together with a desire to boost export earnings, have encouraged government investment in industry, especially in research and development. A skilled and educated workforce, continually renewed by immigration, also aids manufacturing. Israel’s industrial output is among the fastest growing in the world. Until the 1970s manufacturing was concentrated on traditional branches such as food processing, textiles, chemicals, pharmaceuticals, and metal products. Since then Israel has moved into high-technology fields such as medical electronics, telecommunications, computer hardware and software, and diamond polishing. Cut diamonds and electronic equipment are now among Israel’s biggest export earners, together with chemical products, textiles, transport equipment, and machinery. The Tel Aviv-Yafo metropolitan area and Haifa serve as the primary manufacturing centers. Imported oil and coal supply almost all of Israel’s energy, supplemented by very small amounts of locally extracted oil, natural gas, and oil shale. Egypt and Mexico supply the largest quantities of oil, while coal comes from South Africa, Australia, and the United Kingdom. Israel is a world leader in the development of solar energy production, particularly in the use of solar panels for home water heating. Research continues on alternative sources of energy such as wind power. Israel’s chief means of transportation is its road network, which totaled over 10,000 miles in 2001. Motor vehicle ownership has increased rapidly, reaching 233 passenger vehicles per 1,000 persons in 2000. A national company runs affordable bus services in many areas. State-owned railroads operate 575 miles of track. Ben Gurion International Airport near Tel Aviv-Yafo serves as the major airport. Major ports include Haifa in the north, Ashdod on the central Mediterranean coast, and Elat on the Gulf of Aqaba. Israeli shipping is vital to Israel’s trade with distant trading partners by way of the Atlantic and Indian oceans. Israel has well-developed networks for domestic and international communications. On average, most houses have telephones, and there are almost as many cell phones as persons. Internet and electronic mail use has grown rapidly. The Communications Ministry controls telecommunications, while the Postal Authority operates mail services. All media enjoy freedom of communication in Israel, and many emphasize news and politics. The Israeli Broadcasting Authority (IBA) is responsible for public radio and television stations. State-run Kol Israel (Voice of Israel) operates several radio stations, broadcasting in 17 languages. Many Arab households tune into television broadcasts from neighboring states. Israel has 34 daily newspapers; about half are in Hebrew and half in other languages, including Arabic and English. There are also more than 1,000 periodicals. The cost of Israel’s imports has exceeded the value of its exports every year since 1948. This trade deficit, while growing in dollar amount, is decreasing in relative terms. In 1950 exports financed only 14 percent of imports; in 1996 they financed 71 percent. Grants and loans from the United States and other governments, donations from Jewish fund-raising organizations, bank loans, and funds brought in by immigrants have covered annual deficits. Israel owes the bulk of its external debt to the United States. Expanding exports has been a primary goal of the government throughout Israel’s history. Chief imports include rough diamonds, machinery, chemicals, vehicles, crude petroleum, and consumer goods. Primary sources of imports include the United States, Belgium and Luxembourg (which constitute a single trading entity), Germany, the United Kingdom, Italy, and Japan. Main exports include finished diamonds, machinery and parts, chemicals and chemical products, electronic equipment, and agricultural produce (especially citrus fruits). Trading partners for exports include the United States, the United Kingdom, Japan, Belgium and Luxembourg, and Hong Kong. Israel is a member of the World Trade Organization and has enjoyed free trade agreements for industrial goods with the European Union (formerly the European Community) since 1975 and the United States since 1985. Israel’s currency is the new Israeli sheqel (NIS), consisting of 100 agorot, which equaled U.S. $1 in 2002. The Bank of Israel (1954) issues currency and handles government banking transactions. There is a flourishing banking sector with many specialized merchant banks, foreign banks, mortgage banks, and banks set up to aid industry and agriculture. A stock exchange is in Tel Aviv-Yafo. Historical and religious sites as well as the favorable Mediterranean climate make Israel a popular tourist destination. In 2002, 861,867 tourists visited Israel, spending $1.2 billion. Tourism tends to decline after terrorist incidents occur or when political unrest intensifies. Many Christian pilgrims visit Jerusalem, Bethlehem, and Nazareth, and many Jews come to see Israel’s Jewish culture and holy sites. 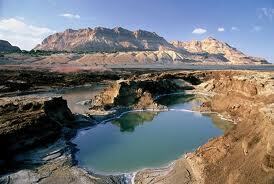 Apart from cultural and religious sites, the Dead Sea region and the Mediterranean coast are popular destinations. Israel is a multiparty parliamentary republic with ultimate authority vested by the people in the legislature, or Knesset. There is no written constitution, but a number of basic laws passed by the parliament over the decades determine government operations and activities. Israel has a unitary, or nonfederalist, system of government; the central government in Jerusalem runs most government functions. Although Israel achieved independence in 1948, its political system derives from the period of British mandate over Palestine (1922-1948). Under the mandate, awarded by the League of Nations, Britain temporarily governed the area on behalf of its Jewish and Arab inhabitants. The mandate established the Jewish Agency for Palestine, a body that acted as the international diplomatic representative of the Jewish community in Palestine (Yishuv). This provisional government functioned from the day of independence (May 14, 1948) until February 14, 1949, at which time its authority was transferred to the first Knesset. The Knesset’s first legislative act was to enact a law, often referred to as the Small Constitution, adopting for the new government many of the administrative structures and procedures. Knesset members discussed drafting a constitution, but many felt that the changing social conditions caused by mass immigration after independence made a delay in drafting a permanent document necessary. Others expressed concern over how to incorporate the precepts and ideals of Judaism into the proposed document. After over a year of discussion, the Knesset decided to delay adoption of a formal comprehensive document. Although Israel is still without a written constitution, the Knesset has passed many laws over the years, known as Basic Laws, which define governmental structure and policy. These are intended to form portions of a comprehensive document in the future. The Knesset elects a president, the head of state, who may serve up to two five-year terms. The president performs such ceremonial functions as opening the first session of a new Knesset and receiving foreign diplomatic representatives. The president selects the leader of the largest party in the Knesset to become the prime minister, or head of government. At the start of a new term the prime minister forms a cabinet of ministers (known as the government) with as many as 18 members, at least half of whom must be from the Knesset. As the chief executive officer, the prime minister determines the agenda of cabinet meetings and has the final word in policy decisions. The legislature, or Knesset, is a single-chambered body of 120 members serving a term of four years. As the supreme authority in the state, the Knesset’s main functions include votes of confidence or no confidence in the government, legislation, participation in formulating national policy, approval of budgets and taxes, election of the president, and general supervision of the administration’s activities. The cabinet presents most legislation, although Knesset committees and individual members can initiate bills. Passage of any legislation requires a simple majority of the members present at the vote. An absolute majority is required for the election of the president and for changes in the system of proportional representation and the Basic Laws. All Israeli citizens 18 or older may vote. Elections are nationwide with the entire country as a single constituency. Citizens vote not for individual candidates but for political parties, which prepare ranked lists of their candidates. Knesset seats are assigned in proportion to each party’s percentage of the total vote; parties must receive at least 1.5 percent to gain a seat. The Knesset may dissolve itself and call for new elections before completion of its term. The judiciary system consists of both secular and religious courts. The president appoints judges for both types of courts. Judges hold office until death, resignation, mandatory retirement at age 70, or mandatory removal for violations of the law. As the highest court, the Supreme Court hears appeals from lower courts in civil and criminal cases. It also serves as the primary guardian of fundamental rights of Israeli citizens and protects individuals from arbitrary actions by public officials. The Supreme Court cannot invalidate Knesset legislation, but it may nullify administrative actions and ordinances it regards as contrary to Knesset legislation. Below the Supreme Court are district courts and numerous municipal and magistrate courts. Military courts hear matters involving military establishment and personnel; the highest of these courts is the Military Court of Appeal, which is responsible to the Supreme Court. Religious courts have jurisdiction over personal status matters such as marriage, divorce, adoption, alimony, guardianship, and inheritance. The High Rabbinical Court of Appeal is the highest Jewish religious court and is overseen by the Ashkenazic and Sephardic chief rabbis. Various Christian denominations, and Muslim sects operate separate religious courts that handle similar matters. Israel is divided into 6 administrative districts and 14 sub districts. The cabinet’s interior minister appoints and oversees district officials, who in turn oversee municipal and local councils. Citizens choose mayors and council heads in direct popular elections and other council members through party lists similar to those in national elections. District officials draft legislation pertaining to local government, approve and control local tax rates and budgets, review and approve bylaws and ordinances passed by locally elected councils, approve local public works projects, and distribute grants and loans to local governments. Although local government is highly dependent on the national government for its budget, it acts as an important mechanism for providing services to communities. Adhering to national standards, local governments handle matters of education, culture, health, social welfare, road maintenance, public parks, water, and sanitation. Founded in 1948, the Israel Defense Forces (IDF) acts as a unified command over all of Israel’s air, land, and sea forces. In 2002 Israel maintained a standing army of 167,600 with an additional 430,000 in reserve forces. Most Israelis are inducted into the army at age 18. Jewish men serve for three years, and unmarried Jewish women serve for 21 months. Men continue in reserve duty until age 55 for up to 45 days a year (or longer in the event of emergency). Women are rarely called for reserve duty, but technically, unmarried women may be called until age 50. Arabs are exempt but may serve voluntarily. A government-appointed chief of staff heads the IDF and is responsible to the cabinet minister of defense. Although the IDF as an institution has no formal or informal role in the political process, retired senior officers have become significant political figures. Israel has been a member of the UN since 1949 and is a member of many other international organizations. It participates in a wide range of UN activities, including nongovernmental organizations addressing issues such as aviation, immigration, communications, meteorology, trade, and the status of women. Though the UN partition plan created Israel, and UN resolutions in 1967 and 1973 called for acknowledgement of Israel’s sovereignty by all states in the region, hundreds of UN resolutions have been critical of Israeli. In 1998 a resolution was passed acknowledging anti-Semitism (hostility toward Jews) as racism. 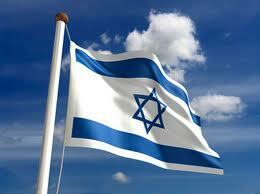 Israel also participates in the International Atomic Energy Agency (IAEA) and the World Health Organization (WHO). Although Israel became a nation again in 1948, its history is based on an ancient Jewish connection to the region. King Saul established the first Hebrew state, the Kingdom of Israel, in the region of Palestine in the 11th century bc. Saul’s successors, David and Solomon, consolidated the kingdom. The southern part soon became the independent kingdom of Judah. When both kingdoms were defeated by the 6th century bc, most Jews were exiled from Palestine. The desire of the exiled Jews, known collectively as the Diaspora, to return to their historical homeland is recorded in the Bible and became a universal Jewish theme after Roman rulers destroyed the ancient city of Jerusalem in ad 70. The modern concept of a Jewish homeland in Palestine began in the late 19th century, when the region was part of the Ottoman Empire. In 1880 Palestine had a Jewish population of about 25,000, about 5 percent of the total population in the predominantly Arab region. Jews resided primarily in Jerusalem and in other holy cities such as Ẕefat, Tiberias, and Hebron. In the early 1880s Eastern European Jews, primarily from Russia and Poland, began to immigrate to the region to escape persecution. Beginning in the mid-1890s Zionism, the movement to unite Jews of the Diaspora and settle them in Palestine, also bolstered immigration. In his book The Jewish State (1896), Hungarian-born Jewish journalist Theodor Herzl analyzed the causes of anti-Semitism and proposed as a solution the creation of a Jewish state in Palestine. In 1897 Herzl convened the first Zionist Congress, representing Jewish communities and organizations throughout the world, in Basel, Switzerland. The congress created the Basel Program, which stated Zionism’s goal “to create for the Jewish people a home in Palestine secured by public law.” The congress also established the movement’s administrative body, the World Zionist Organization (WZO). By 1914 the Jewish population of Palestine had grown to about 85,000, or about 12 percent of the total population. In 1917, during World War I, the British government issued the Balfour Declaration, which expressed Britain’s support for the establishment of a national home for the Jewish people in Palestine. By issuing the declaration Britain apparently hoped to generate support from both American and Russian Jews for the Allied war effort before its rival, Germany, could win Jewish support by issuing a similar declaration. The Zionist movement saw the declaration as an important achievement promoting Jewish settlement and development in Palestine. In July 1922 the League of Nations, an alliance of world powers formed in 1920 to preserve peace, issued a mandate granting control over Palestine to Britain, which was to establish a Jewish national home. Encouraged by British support of the Zionist cause, waves of Jewish immigrants arrived in Palestine between 1919 and 1939, each contributing to the developing Jewish community (Yishuv). About 35,000 came between 1919 and 1923, mainly from Russia. These pioneers laid the foundations of a social and economic infrastructure, developed agriculture, established kibbutzim and moshavim, and provided labor for construction of housing and roads. Another 60,000 Jews, primarily from Poland, arrived between 1924 and 1932. This group developed and enriched urban life. These immigrants settled and established businesses in Tel Aviv (now part of Tel Aviv-Yafo), Haifa, and Jerusalem. As German dictator Adolf Hitler and his Nazi Party rose to power, about 144,000 Jews, primarily from Germany, immigrated to Palestine in the early 1930s to escape the ruthless persecution. Increased momentum internationally of the Zionist movement, combined with economic recession in Europe, brought thousands more Jews from elsewhere in Western and Central Europe to Palestine in the late 1930s. Many were professionals and academics whose education, skills, and experience raised business standards, improved urban and rural life, and broadened the community’s cultural life. The authorities allowed Jewish and Arab communities to run their own internal affairs. The Jewish community elected a self-governing assembly, which in turn elected a council to implement its policies and programs. These bodies developed and maintained a network of educational, religious, health, and social services for the Jewish population. The Jewish Agency handled immigration matters, settlement, and economic development. The Arab Executive, a coalition of leading Muslim and Christian Arabs against Zionism, handled political, administrative, and economic affairs of the Arab community. Through the 1920s and 1930s economic and cultural development of the country gained momentum. Yishuv leaders expanded agriculture, established factories, set up hydroelectric facilities on the Jordan River, built new roads throughout the country, and began tapping the mineral resources of the Dead Sea. The Histadrut (General Federation of Labor) advanced workers’ welfare and provided employment by setting up cooperative industrial enterprises and marketing services for the communal agricultural settlements. Art, music, theater, and dance developed gradually with the establishment of professional schools and studios. Galleries and halls were set up for exhibitions and performances. The Hebrew language became one of three official languages of the area, being used for documents, coins, stamps, and radio broadcasts. Publishing and Hebrew literary activity prospered. The Arabs, viewing any support of Jewish statehood as a threat to Arab independence, continued demonstrations, protests, and attacks on the Jewish community. Arab resistance culminated in a full-scale revolt between 1936 and 1939. Britain issued a policy statement called a White Paper in 1939 imposing restrictions on Jewish immigration and providing for the establishment within ten years of a single independent state with Jewish and Arab government participation in proportion to the population. Zionists, who believed it to be a reversal of the Balfour Declaration and mandate obligations, ardently opposed the document. During World War II (1939-1945) the Nazi regime carried out a systemic genocide of the European Jewish population. As German armies swept through Europe, Jews were herded into ghettos and eventually to concentration camps. Experts estimate that almost 6 million Jews had died at the hands of the Nazis in theHolocaust by the end of the war. During the war the United States became a center of Zionist activity. A Zionist conference in New York in May 1942 resulted in the Biltmore Program, which oposed British restrictions, called for the fulfillment of the Balfour Declaration and the mandate, and urged the establishment of Palestine as a Jewish commonwealth. Nevertheless, British restrictions on Jewish immigration continued throughout the war and in the years after it. The Jewish community responded by the use of illegal immigration activities with about 85,000 Holocaust survivors coming to Palestine by secret immigration routes between 1945 and 1948. Exhausted by the war, Britain sought to reassess its position and policy in Palestine and other locations in the mid-1940s. After efforts to negotiate with the Arabs and the Zionists, the British government referred the Palestine issue to the United Nations in February 1947. After extensive evaluation of the situation, the United Nations Special Committee on Palestine (UNSCOP) proposed that the territory west of the Jordan River be partitioned into Jewish and Arab states with Jerusalem under international control. On November 29, 1947, the UN adopted a partition plan. Zionists reluctantly accepted the plan as the best resolution they could expect given the political circumstances, but the Arab world denounced and rejected it. The Arabs felt that the UN had no right to make such a decision and that Arabs should not be made to pay for Europe’s crimes against the Jews. Fighting in Palestine escalated rapidly in the months after the plan was adopted. On May 14, 1948, when the British mandate over Palestine expired, Jewish authorities declared the establishment of the State of Israel. The declaration recalled the religious and spiritual connections of the Jewish people to the land of Israel, without mention of specific boundaries; guaranteed “freedom of religion and conscience, of language, education, and culture”; provided a framework for a democratic Jewish state founded on liberty, justice, and peace; and called for peaceful relations with Arab neighbors. The state declared itself open for Jewish immigration. A provisional government was established, with Jewish Agency chairman David Ben-Gurion as prime minister and former Jewish Agency president Chaim Weizmann as president. The United States and the USSR, along with many other states, quickly recognized the new government. The Arab League declared war on the new state, and Egypt, Transjordan (now Jordan), Syria, Lebanon, and Iraq announced that their armies would enter the area to restore order. The newly established Israel Defense Forces (IDF), formed from pre-state defense organizations, successfully repelled Arab forces. Fighting continued into early 1949, when Israel and each of the bordering states signed truce agreements that established the borders of the new state. The agreements left Israel in control of territory beyond what the partition plan gave it. Portions of territory that the UN plan had given to Palestinian Arabs came under Egyptian and Jordanian control (Egypt took over Gaza Strip, and Jordan gained control of the West Bank). Jerusalem was divided between Israel and Jordan. Many Arabs fled Israel for safer areas in the Gaza Strip, the West Bank, and in neighboring Arab states. Permanent peace negotiations were supposed to follow the armistice agreements but did not. The Arabs refused to recognize or negotiate with Israel. With the end of hostilities, Israel soon moved to function as a regular state. In elections in early 1949, Israelis chose the first Knesset, which replaced the provisional government. The Zionist labor party Mapai emerged as the largest party in the Knesset, and Ben-Gurion, its leader, formed a coalition government with religious and centrist parties. Ben-Gurion and Weizmann retained their positions as prime minister and president. Israel became the 59th member of the UN in May 1949. In 1950, Israel affirmed the right of every Jew to live in Israel and promoted unrestricted immigration by drafting the Law of Return. In the first months of independence, about 50,000 immigrants, mainly Holocaust survivors, arrived in Israel. By the end of 1951 about 687,000 had arrived—including more than 300,000 refugees from Arab lands such as Morocco, Algeria, Tunisia, and Libya—doubling the Jewish population. This mass immigration compounded the economic problems caused by the war. The government was hard-pressed to feed, house, and find employment for the new immigrants. It began programs for the poor, accepting much aid from abroad, particularly from the United States and Jewish communities worldwide. In 1952, after bitter political controversy, Israel negotiated agreements providing reparation payments from the West German government to the state and to individual victims as partial restitution for Nazi theft of Jewish property during World War II. This aid helped Israel to keep a strong army while beginning social development projects, including many agricultural settlements for recent immigrants. The lack of comprehensive peace settlements between Israel and the bordering states after the 1949 armistice agreements caused continual tensions in the region. The Arab states considered the establishment of Israel as an injustice and began a political and economic boycott on the new state. Egypt refused Israel access to the Suez Canal, which connects the Mediterranean Sea with the Red Sea, and in 1951 Egypt blockaded the Strait of Tiran, Israel’s only direct access to the Red Sea. Palestinians from the West Bank and the Gaza Strip began raiding Israeli communities near the borders. Israel held Jordan and Egypt responsible for these attacks and launched retaliatory raids. In addition, conflicts arose over demilitarized zones along the border and over Israeli use of water from the Jordan River for domestic development. Syria soon became involved as well. In February 1955 Israel launched a raid against an Egyptian army base in the Gaza Strip. In response Egypt organized Palestinian guerrilla operations against Israel, and intensified military buildup. In September Egypt concluded an arms deal with the Communist government of Czechoslovakia (acting for the USSR). 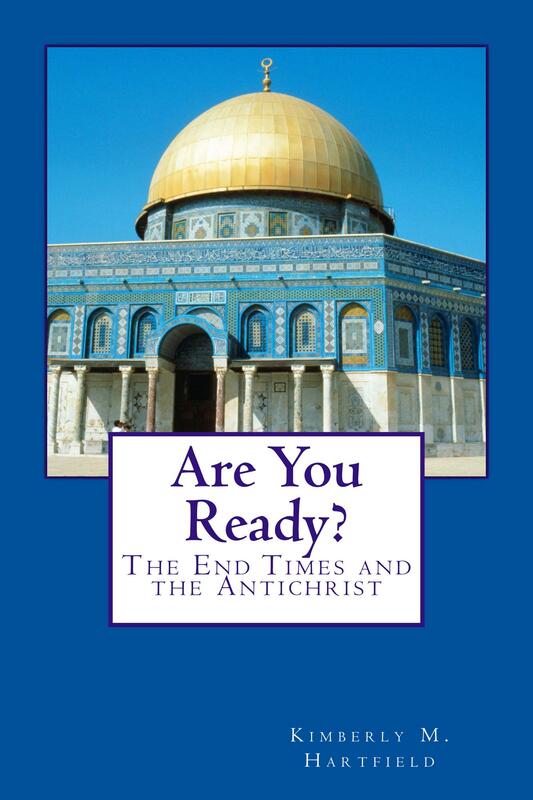 Israel found these developments threatening and began to prepare for war. In July 1956 Egypt nationalized the Suez Canal, transferring ownership of the company that controlled its daily operations from British and French shareholders to the Egyptian government. Through secret negotiations with Britain and France, who sought to regain control of the canal, Israel planned a military offensive against Egypt. In October 1956 Israel invaded the Gaza Strip and the Sinai Peninsula, quickly capturing these areas and advancing toward the Suez Canal. As planned in meetings with Israel, the British and the French issued an ultimatum demanding withdrawal of both Israeli and Egyptian forces from the canal. When Egypt refused, British and French forces bombed Egyptian bases. The United States and the USSR demanded an immediate cease-fire, and a UN resolution soon forced the British, French, and Israelis to withdraw from Egyptian territory. The United Nations Emergency Force (UNEF) stationed troops on the frontier between Israel and Egypt, which helped to quiet the border for the next decade. The Egyptian government reopened the canal, and Israel gained access to the Strait of Tiran, but no comprehensive Arab-Israeli peace talks followed the crises. Israel’s foreign relations expanded steadily, developing ties with the United States, the British Commonwealth countries, most Western European nations, and nearly all the countries of Latin America and Africa. Israeli experts and specialists shared their knowledge and experience with people in other developing countries in Africa, Asia, and Latin America. Israel strengthened its military and political cooperation with France, the United States agreed to supply Israel with arms in 1962, and West Germany continued to provide economic and military aid. In 1965 Israel exchanged ambassadors with West Germany, which had been delayed because of bitter memories of the Holocaust. Unresolved issues from previous conflicts caused continual tension between Israel and the Arabs, which flared up yet again in the mid-1960s. Israeli and Syrian efforts to divert water from the Jordan River and disputes over the use of the demilitarized zone between the two nations led to numerous border incidents. In 1964 the Arab League created the Palestine Liberation Organization (PLO) to promote Palestinian nationalist activities and sought to coordinate Arab military efforts. In 1965 Palestinians began armed attacks against Israel; Israel responded with raids against Syria and Jordan. Border incidents became progressively more serious, inspiring nationalistic fervor throughout the Arab world. In May 1967 Egypt called for the removal of UN forces from the Suez Canal region, and organized a military alliance with Syria, Jordan, and Iraq, moving Egyptian troops and equipment into the Sinai Peninsula. In addition, Egypt closed the Strait of Tiran to Israeli shipping. After efforts at mediation by the UN and the Western powers failed, Israel launched a preemptive military strike against Egypt in early June. Jordan, Syria, and Iraq joined the fighting against Israel. The Egyptian air force was destroyed on the ground within hours of the start of the Six-Day War, and Israeli forces quickly seized the Gaza Strip and the Sinai Peninsula. Israel also took East Jerusalem and the West Bank from Jordan and the Golan Heights from Syria. Many Arabs fled these areas, which became known as the Occupied Territories. Israel placed the 1 million who remained under military administration. The USSR, which had supported the Arab alliance and its allies, immediately severed diplomatic relations with Israel. In November 1967 the UN Security Council adopted Resolution 242, which called for Israeli withdrawal from territories occupied in the recent conflict in return for Arab recognition of Israel’s independence, peace, and secure borders. Although neither side met these demands, the trade of “land for peace” has been the central concept of all subsequent peace efforts. Although Israel’s victory inaugurated another period of economic growth and prosperity, it also politically polarized citizens into two groups: those who favored withdrawal from the Occupied Territories and peace with the Arabs, and those who sought Jewish settlement and annexation. Others favored more moderate positions, and most supported the annexation of East Jerusalem. The government formally united both parts of Jerusalem a few days after the war ended. In 1969 President Nasser of Egypt launched the War of Attrition against Israel along the Suez Canal in an effort to continue the conflict and wear down the enemy. The USSR provided Egypt with advanced military equipment, advisers, and pilots. Israel responded with air and artillery attacks against Egypt. The conflict was ended by a cease-fire sponsored by the United States in August 1970, but there was no substantial movement toward peace. Egypt attempted to regain the Sinai Peninsula from Israel through diplomatic means. Negotiations to resolve the dispute failed, and on October 6, 1973, Egyptian and Syrian military forces launched a surprise attack on Israeli positions along the Suez Canal and in the Golan Heights. In spite of initial Egyptian and Syrian advances, Israel pushed Syria back and crossed the Suez Canal to take a portion of its west bank in Egypt. During the fighting, the USSR supplied arms to Egypt and Syria, and the United States provided arms to Israel. The Arab-Israeli War of 1973 (called the Yom Kippur War by Israel and the Ramadan War by Arabs) ended with a cease-fire in late October. 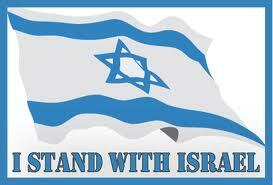 Israel suffered heavy losses in the fighting in spite of its military successes. Traveling back and forth between the countries in a process known as shuttle diplomacy, U.S. secretary of state Henry Kissinger helped negotiate a military disengagement between Israeli and Egyptian forces in January 1974 and another between Israel and Syria in May. Kissinger arranged another agreement between Egypt and Israel in 1975, with a relatively peaceful stalemate resulting. Israel agreed to withdraw from the canal zone, and Israel and Syria returned to the 1967 cease-fire boundaries. In 1977 Sadat agreed to meet with Israel publicly to discuss peace. In November he arrived in Israel to address the Knesset. After nearly a year of stalled negotiations, U.S. president Jimmy Carter brought the parties together at Camp David, Maryland, in 1978 to break the stalemate. Carter, Begin, and Sadat concluded the Camp David Accords, agreements that provided the outline and basis for a peace treaty between Egypt and Israel and for a comprehensive Middle East peace focusing on the Palestinian issues and the future of the West Bank and Gaza Strip. In March 1979 Egypt and Israel signed a peace treaty calling for Israel’s gradual withdrawal from the Sinai Peninsula and the establishment of diplomatic relations between the two countries. Egypt and Israel opened their borders, established direct communication links, opened embassies, and exchanged ambassadors in 1980. The treaty eliminated the threat of Israel’s primary Arab adversary with the largest military capacity. It also led to increased U.S. economic and military assistance to both Israel and Egypt. But, it failed to bring about a comprehensive Middle Eastern peace. In spite of peace with Egypt, hostilities continued between Israel and other Arab nations. In 1981 Israel’s air force was sent to destroy an Iraqi nuclear reactor near Baghdad, because it was believed to be used for development of nuclear weapons. Later that year Israel effectively annexed the Golan Heights by enforcing Israeli civil law in the region; Syria refused to recognize Israel’s authority. Israel completed its Sinai withdrawal in 1982. Israeli settlement began in all of the Occupied Territories, heightening tensions in those regions. The Lebanon border became the focus of Israeli security concerns in the early 1980s. Tensions between Lebanese Muslims and Christians had been heightened when the PLO arrived in Lebanon, whose raids into Israel prompted Israel to launch a major military action, called “Operation Peace for Galilee,” into southern Lebanon in June 1982. The objectives of the raid were to ensure security for northern Israel and to destroy PLO infrastructure in Lebanon. Israel allied with Lebanese Christians, who also sought to expel the PLO. The Israeli military pushed north to Beirut, defeating PLO and Syrian forces. The United States negotiated a cease-fire, and the PLO withdrew its forces from Lebanon in August 1982. In May 1983 Israel and Lebanon signed an agreement confirming that “the states of war” between them had been terminated. But, under pressure from Syria, which held considerable political and military influence in Lebanon, the Lebanese president nullified the agreement in March 1984. Israel withdrew most of its forces from Lebanon in 1985, leaving a small force in the south to maintain security along the border. In December 1987 a series of demonstrations, strikes, riots, and violence, called the intifada, broke out. Encompassing the Gaza Strip and the West Bank, the intifada began as frustration and resentment mounted against 20 years of Israeli rule and Jewish settlement in the Occupied Territories. As the movement expanded and became more violent, Israel responded with increasingly harsh reprisals, which drew international criticism. Efforts to stop the riots and demonstrations failed, as did an attempt by the U.S. to initiate peace negotiations. The U. S. excluded the PLO from negotiations as long as they refused to accept Israel’s right to exist, and Palestinians would not participate in negotiations that excluded the PLO. The PLO’s claim to be the representative of the Palestinian people was strengthened when Jordan ceded its territorial claim to the West Bank in July 1988 to the PLO. In 1988 the PLO chairman Yasir Arafat acknowledged Israel’s right to exist by accepting UN Security Council Resolution 242 (originally adopted by the UN in 1967), and Arafat renounced terrorism. As a result the United States and the PLO began a formal dialogue. In the spring of 1989 the Israeli government proposed a comprehensive peace initiative, but negotiations suffered a setback when the United States suspended its dialogue with the PLO following Arafat’s refusal to condemn a terrorist raid on a beach near Tel Aviv by a group affiliated with the PLO. The Iraqi invasion of Kuwait in 1990 and the subsequent Persian Gulf War in 1991 postponed efforts to seek Arab-Israeli peace. Soon after hostilities broke out in January 1991, Iraq fired Scud missiles at Israel and Saudi Arabia in an effort to split the coalition by diverting Arab attention from its anti-Iraqi stance to its opposition to Israel. The plan failed because Israel, at the request of the United States, did not retaliate. The success of the Gulf War coalition suggested new possibilities for an Arab-Israeli peace. After months of shuttle diplomacy by U.S. secretary of state James Baker, the United States and the USSR issued invitations to Israel, Lebanon, Syria, Jordan, and the Palestinians to a peace conference in Madrid, Spain, in the fall of 1991. Israel continued to exclude the PLO, insisting on meeting instead with a joint Jordanian-Palestinian delegation. The Madrid conference convened in October 1991 and was followed by bilateral negotiations in Washington, D.C., several months later. In spite of months of negotiations between Israel and the Lebanese, Syrian, and Jordanian-Palestinian delegations, no agreements emerged. Nevertheless, the conference was an important step on the road to peace because it involved direct, bilateral, public, and official peace negotiations between Israel and its Arab neighbors. As the Washington sessions continued, Israel and the PLO began secret negotiations in Norway, resulting in a breakthrough in the peace process. In 1993 the parties reached several important agreements and exchanged letters in which the PLO affirmed Israel’s right to exist in peace and security, and Israel recognized the PLO as the representative of the Palestinian people. The PLO renounced the use of terrorism and other forms of violence and committed to resolve the conflict with Israel through peaceful negotiations. On September 13, 1993, Rabin and Arafat witnessed the signing of a historic accord between Israel and the PLO at the White House in Washington. This Declaration of Principles (DOP) outlined a proposal for limited Palestinian self-rule in the Gaza Strip and in the West Bank town of Jericho. It also stated that within five years the two sides were to reach a comprehensive peace settlement regarding all remaining issues in dispute, including the status of Jerusalem. The agreement also set the stage for the establishment of an interim body, the Palestinian National Authority (PNA), to administer these regions. In spite of the agreement, right-wing Israeli parties and dissident Palestinian groups expressed dissent, often in the form of terrorist attacks. Shortly after the signing of the Declaration of Principles, Israel and Jordan entered into separate negotiations that led to the signing of a peace treaty in 1994. The treaty addressed security, boundary demarcations and border crossings, control of water resources, police cooperation, environmental issues, and the establishment of normalized relations. Both parties agreed not to join, aid, or cooperate with any party intending to attack the other side and to prohibit military forces or equipment that could harm the other side from entering their territories. They pledged to cooperate in combating terrorism and to solve the problem of Palestinian refugees. They also agreed to cooperate on economic matters, including trade, development, and tourism. Finally, Israel recognized Jordan’s special role as guardian of Muslim holy places in Jerusalem, which angered Palestinians because it undermined their agreement with Israel to negotiate the status of Jerusalem at a later date. After reaching agreements with the PLO concerning the Gaza Strip and Jericho, Israel withdrew from these areas in 1994. The PNA, which was headed by Arafat and PLO members, assumed control of civil matters in the Gaza Strip and Jericho and deployed a Palestinian police force to maintain security. Israel kept control over Jewish settlements in the Gaza Strip as well as over security of the region’s borders. An interim agreement in 1995 focused on Israeli withdrawals from the Palestinian areas in the West Bank. Israel was to retain control over Jewish settlements and military installations until final status negotiations were completed, including discussion of the status of Jerusalem, refugees, settlements, borders, and security arrangements. Over the next several months Israel turned over civil administration of all other West Bank cities and most Palestinian towns and villages to the PNA, thus ending Israeli administration. In the cities, the PNA also assumed responsibility for internal security. The exception was Hebron, sacred to Jews as the site of King David’s capital prior to Jerusalem and the burial place of the Jewish patriarchs Abraham, Isaac, and Jacob. Negotiations concerning Israel’s withdrawal from Hebron continued for another year. In Palestinian areas, security came under joint control of a Palestinian police force and Israeli troops, with Israel’s authority predominant. As in the Gaza Strip, Israel retained control over Jewish settlements and over security of the West Bank’s borders, as well as over the travel routes between Palestinian settlements. New terrorist attacks against Israel in early 1996, including suicide bombings by Palestinian militants, helped sway Israeli public opinion toward a position of fewer compromises. Benjamin Netanyahu became Israel’s first popularly elected prime minister and formed a coalition government determined to assure security for Israel. The government insisted that the PNA meet its obligations to prevent terrorism before Israel would make any more withdrawals. The peace process stalled in spite of efforts by the United States to restart it. Although peace negotiations had stalled, an agreement involving Hebron was completed and signed in 1997. Israel withdrew from 80 percent of the city, maintaining control over Jewish settlements there. Israel decided the following month to proceed with a Jewish housing project in eastern Jerusalem, which the Palestinians viewed as a violation of the agreement. Terrorist attacks by the Palestinian group Hamas, prompted Israel to demand Palestinian leaders take action against terrorism. Terrorist attacks by Islamic groups from Lebanon on the security zone and into northern Israel also plagued Israel. In 1998 Israel offered to withdraw from its security zone in southern Lebanon, in return for Lebanon’s guarantee to prevent terrorist attacks on northern Israel. Lebanon refused the offer, calling for an unconditional withdrawal. By 1998 Netanyahu signed a U.S.-brokered accord calling for Israeli withdrawals from the West Bank. In return, the Palestinians promised to prevent attacks on Israelis by terrorist groups, and to remove from their national charter the clauses calling for the destruction of Israel. In late 1998, after the first Israeli withdrawal, Netanyahu froze the accord, citing Palestinian violations and placing new conditions on withdrawals. Barak, who took office in 1999, focused his attention on negotiations with the Palestinians, but also expressed eagerness to reach a peace agreement with Syria. He also promised to withdraw Israeli troops from southern Lebanon within a year. This led to increased optimism regarding the peace process. Barak transferred some West Bank territory to the authority of the PNA and also hinted that he might return most of the Golan Heights to Syria in exchange for peace. He met with U.S. president Clinton in 1999 and set a 15-month deadline to reach a peace settlement with the Palestinians. Negotiations between Israel and the Palestinians began in late 1999 but soon bogged down over transfers of land in the West Bank to Palestinian control. In December 1999 Israel and Syria agreed to resume peace negotiations. Talks held in January 2000 were inconclusive, but a summit meeting between Assad and Clinton in April of that year failed to end the stalemate. Exasperated by the failure of the Syrian talks and agreeing with growing Israeli dismay with casualties in southern Lebanon, Barak unilaterally ordered the withdrawal of all Israeli forces from Lebanon to the countries’ international border as confirmed by the United Nations. The withdrawal was completed by June 2000. In an effort to move the Israeli-Palestinian peace process forward, the United States convened a summit at Camp David in 2000, at which Clinton, Barak, and Arafat focused on a comprehensive peace agreement. In spite of intense efforts and some areas of accord, no ultimate agreement was reached. The failure of the summit led to the outbreak of a second intifada in late 2000. Violent clashes between Palestinians and Israelis rocked Israel. The failure of the Camp David summit and the ensuing violence brought the peace process to a halt. Israeli-Palestinian relations were soured once again in early 2002 when Israeli forces seized a large shipment of Palestinian weaponry. The peace process halted as Palestinian terrorist attacks on Israeli civilians, and Israeli military responses to these attacks continued to grow in severity. In response to mounting Israeli death tolls from Palestinian suicide bombings, Israeli forces swept into the West Bank and occupied key urban centers. During the operation, which was vehemently denounced by Palestinian leaders, Israeli forces arrested hundreds of alleged terrorists and seized or destroyed large quantities of weapons. Later, in the spring of 2003 U.S. president George W. Bush unveiled what was referred to as a “road map” toward the goal of independent Israeli and Palestinian states living side by side in peace and security. The PNA and, eventually, Israel accepted the road map, and Hamas agreed to a cease-fire. Summit meetings followed. But, violence surged in August with a bloody Palestinian suicide bombing in Jerusalem followed by Israeli missile strikes against top Hamas leaders. In late 2003 Israel announced it would take unilateral steps to ensure the country’s security, which included Israeli withdrawal from the Gaza Strip. Israel continued to build a fence, sometimes referred to as a security barrier, to separate Israel from the West Bank. Palestinian terrorist attacks against Israel continue and Israeli forces also continue to target Hamas leadership. Reference: Microsoft ® Encarta ® Reference Library 2005. © 1993-2004 Microsoft Corporation. All rights reserved.